When you die cut out an image, what do you do with the part that’s left over? Do you toss it? Put it in your scrap pile? Well for this month, we are going to take that image and use it as a template. You can take the part that has the hole in it and make a card with that or you can take the image you punched or die cut out and make a card with that – or both if you wish. Naturally that card has lots of layers. 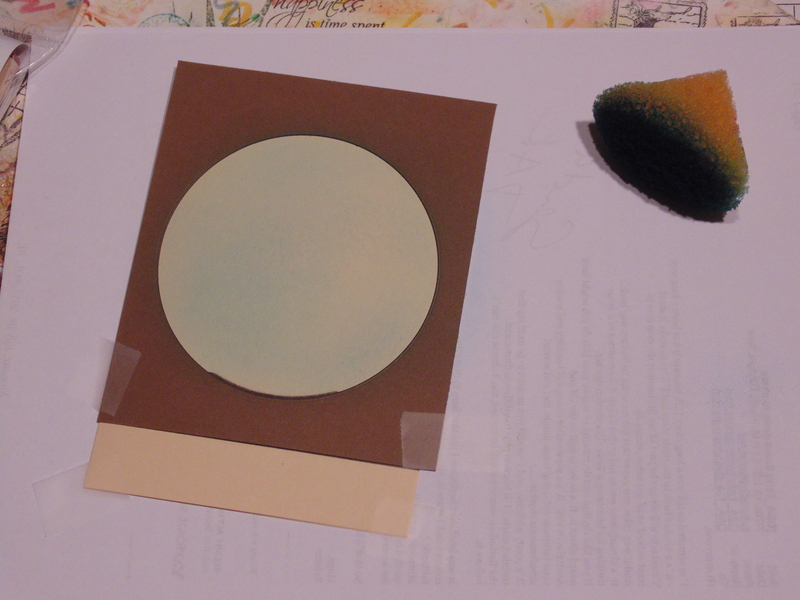 The base is that light tan, then a dark layer, then the tan again that I stamped with the brown circles. 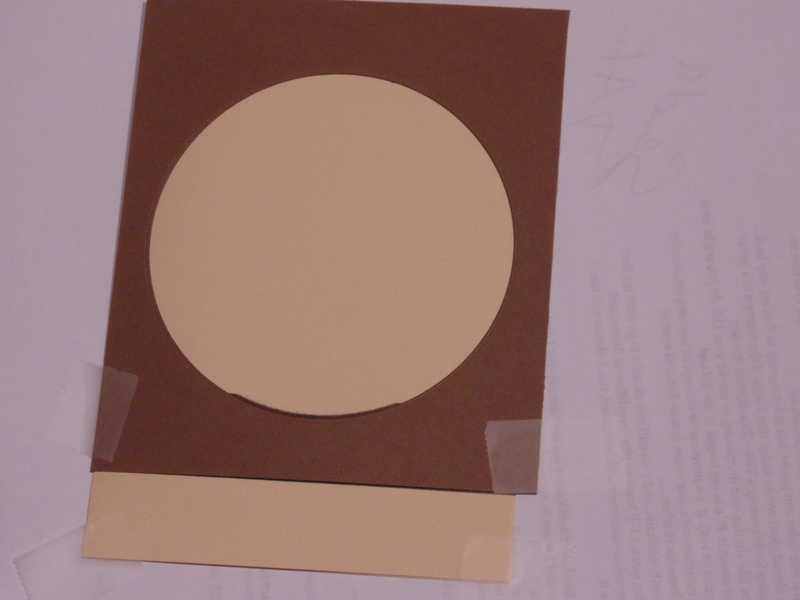 Then a raised brown circle with the blue circle on top (actually it’s a tan circle the same color as the base that I sponged). For those concerned about today’s mailing costs, this can immediately bring up dollar signs. Not to worry!! 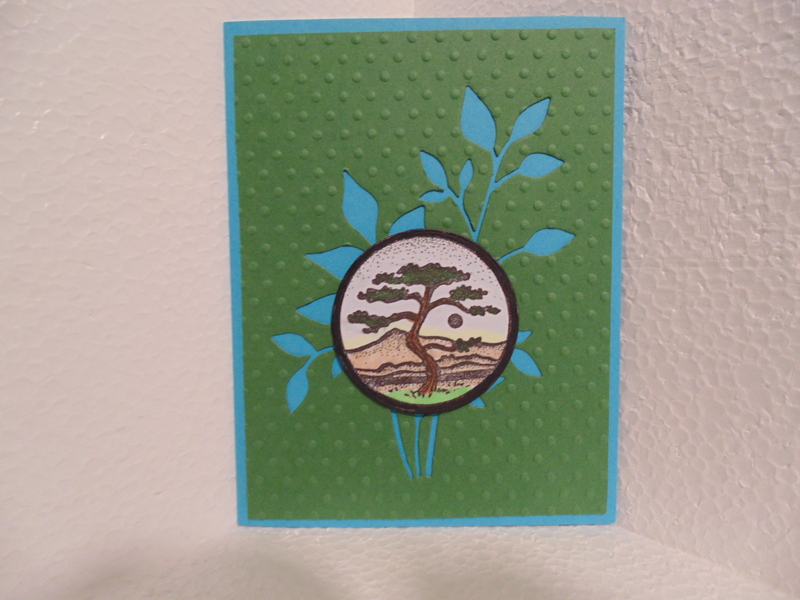 You can make a card similar to this, using the Layout Challenges that call for multiple layers, as a single layer. It’s all in the stenciling and sponging!! 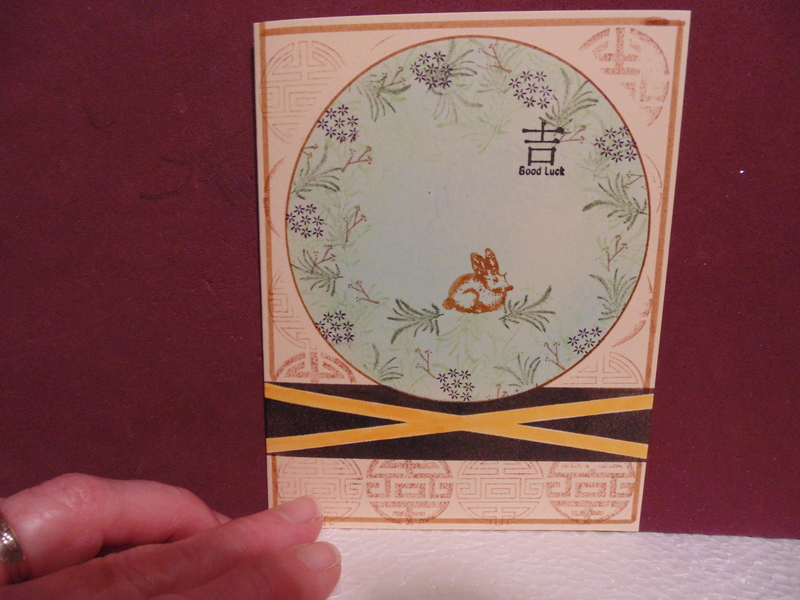 The only thing this one-layer card doesn’t have that the above card has is the coin in the middle and the two wedges in the upper corners and the extra postage. The only extra weight to that single piece of paper will be that coin you would attach to the center (mine was out of paper so lighter than metal). You can use the two colors of the corner notches or use a photo album picture holder piece that is lighter in weight than card stock. If you purchase white, you can color it with alcohol inks to make it whatever color you are using. If you wanted to use an image that went outside that circle area, then just stamp the image first, mask it, then place your brown circle over the image with the part outside the hole and begin your work through the hole. Easy Peasy. 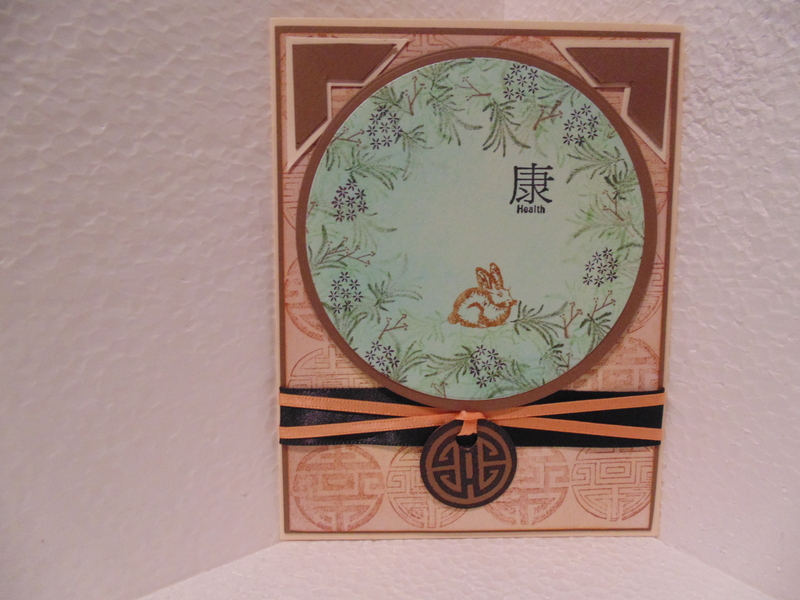 The area where the circle image is was a hole where the pieces fell out so I mounted my image over it (after embossing it first). So, for July, let’s see what you can make using your die cut or punched image as a template. Can’t wait to see your cards. Remember, they don’t have to be a single layer. That was just an example.